Do you love to glide over water and sometimes fly as well? Does the adventure sport give you the kick of adrenaline which truly pushes you and helps you enjoy to the hilt? If you have just nodded your head in approval, you need to know about some of the best stand up paddling courses. In Tarifa, there is a lot of demand for paddling. This is why you will find a great deal of Tarifa stand up paddle courses here. You need to understand the details of the kind of paddling you want to learn first. We recommend going through the Tarifa stand up board technique course first as this will give you the head start into how to start it off. Once you have done this you can choose Tarifa advanced paddle board lessons as well and you can then enjoy your water sports. For beginners we offer the basic SUP tuition which is carried out either on a river or a calm sea. This is important because as a novice, you first need to be acquainted with a lot of details before you can set free on the untamed waves of the wild sea. In this course, we familiarize you with the nuances of safety, paddle technique, towing, steering and posture as well. 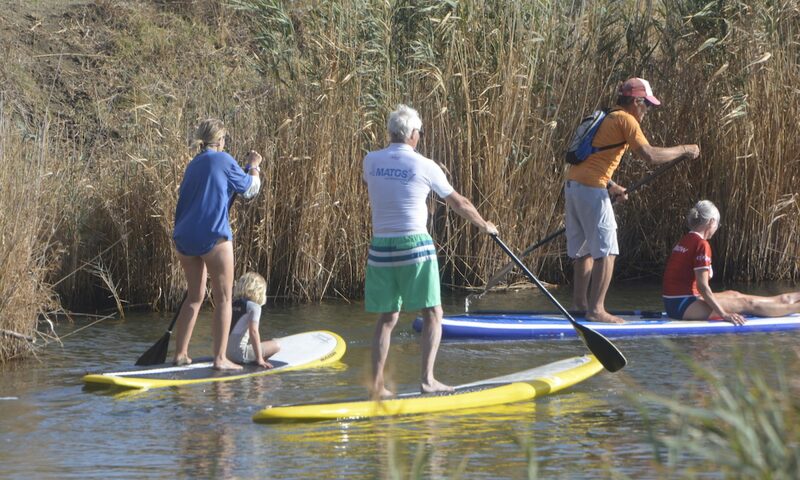 When you have learned these important lessons, it sets the foundation for you to take part in different Tarifa stand up paddle excursions as well. If you are a fan of the downwind stand up paddling, we recommend checking out our Tarifa down wind stand up paddling course as well. Here, we teach you acceleration, bumping and even how to turn up the wind and lose paddle as well. With the right techniques of paddling up the wind, you can truly become a pro and romance the waves just the way you want. So, check out the details of the different courses offered and then you can even participate in the tours and excursions which are carried out from time to time. Each of these tours is very promising and it will help you have the time of your life. A word of caution here is that you should make sure that you are thoroughly proficient in the art of stand up paddling before trying too many things in the sea because sometimes it becomes one trick too many!